Since the introduction of prostate cancer screening by PSA testing in the early 1990s, patients and practitioners have faced a new problem: prostatic neoplasms diagnosed in large numbers have led to overtreatment, accompanied by the inevitable complications related to any radical curative treatment, be it surgery or radiotherapy. Thus, the 2000s saw the emergence of a “wait-and-see” approach: active surveillance. This involves strictly following patients with less aggressive prostate cancer and treating them if prostate disease develops. Unfortunately, this approach carries a risk of under-treatment due to rapid growth or initial underestimation of the tumour. These two factors explain why 30% of patients require definitive treatment within 3 years. With focal therapy, the consequences of a cumbersome curative treatment and the risk of under-treatment with active surveillance can be avoided. This approach has two pillars: powerful imaging and tissue destruction. Thanks to scientific and technological advances in recent years, particularly with the diagnostic power of 3-Tesla MRI, focal therapy is finally becoming a reality. We possess a Focal One® (EDAP TMS S.A., France) device that is based on the technology of High Intensity Focused Ultrasound (HIFU): this treatment creates a sudden temperature increase which precisely and safely destroy cancerous cells in the gland, while preserving the surrounding tissue. We also use software that merges the images obtained by MRI with endorectal ultrasound. Moreover, even though the Ablatherm® HIFU system has demonstrated its efficacy since the 1990s, it was previously used for the total treatment of the gland, without the possibility of only targeting the areas to be treated. For diagnostics, we use the UroStation Koelis Touch®, which allows to perform targeted biopsies and to merge MRI /transrectal ultrasound images. Thus, the accuracy of the biopsy examination is significantly improved and the number of biopsies decreased. In more complex situations, if anterior tumours are present or saturation biopsies are required, the BiopSee® system for trans-perineal fusion biopsies is used, under general anaesthesia and with the help of a robotic arm. For patients with prostatic carcinoma who meet neither the criteria for active surveillance nor for focal treatment, and for whom surgery rather than radiotherapy is indicated, robotics is the best solution. 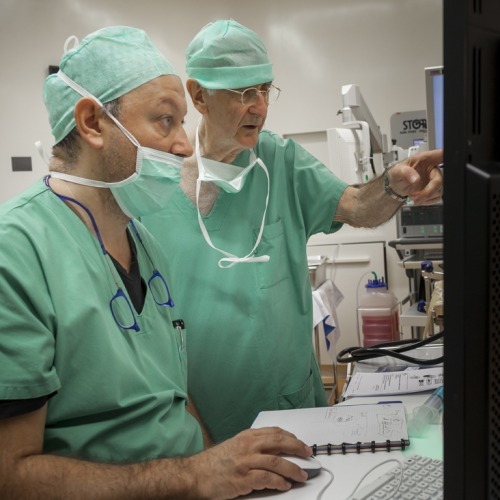 More than 12 years ago, Dr. Charles-Henry Rochat at the SIPC became one of the pioneers of robotic prostatectomy with the da Vinci robot. Over the years and with the arrival of new robot models, he has acquired extensive experience with this type of surgery. The SIPC mainly uses the Clinique Générale-Beaulieu’s da Vinci Si four-armed robot but also intervenes at other institutions with the Xi robot. 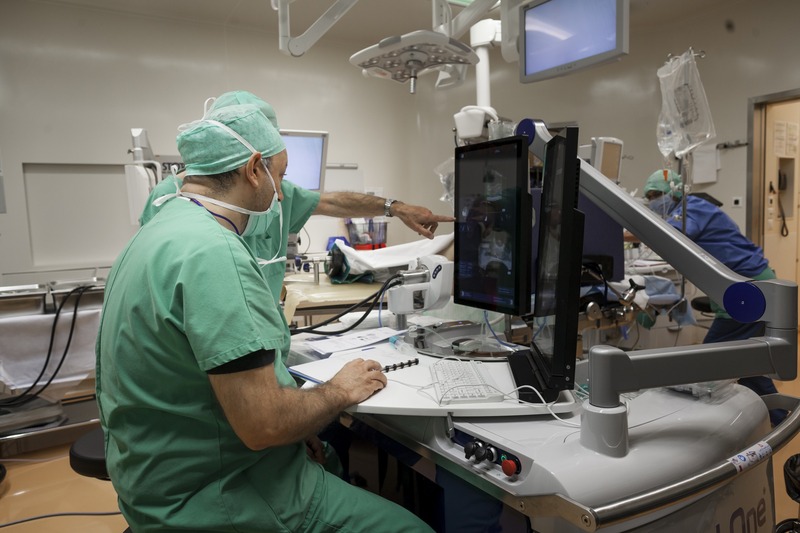 The principle of surgery performed with the aid of this robot is to introduce a 3D-HD camera through the ombilicus and the instruments are articulated by other small holes. The joints have a very fine design with a large deflection. The handles of the control console transmit the surgeon’s hand movements to the instruments that reproduce these movements with great ease in the operative field, exceeding the accuracy of the human hand. Moreover, the Si system integrates radiological images in the operator's field of view to facilitate his orientation. 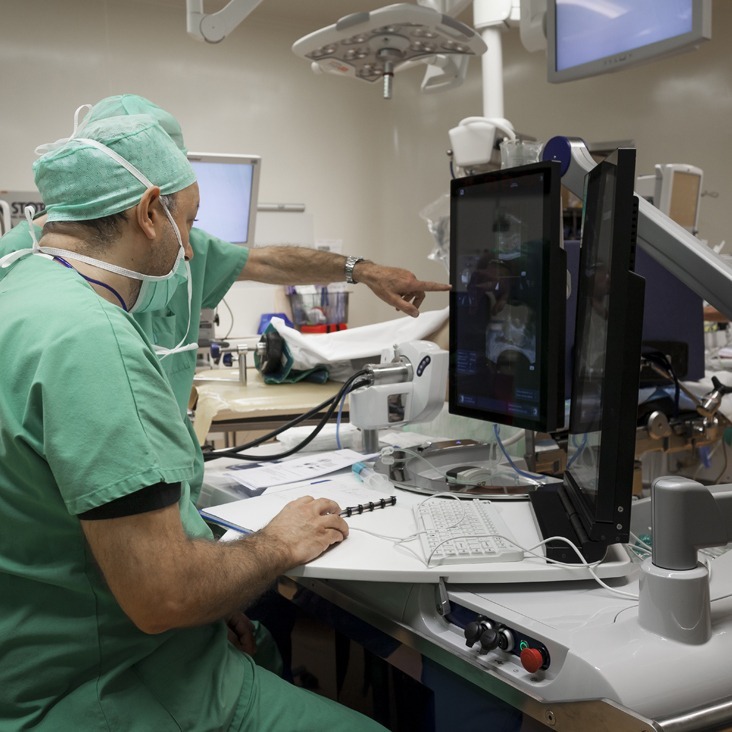 Coupled with 3D vision, the system offers the surgeon greater exposure of the surgical field and optimises his/her accuracy. The robot therefore has three main advantages: vision, precision and ergonomics. These elements enable high quality operations that benefit the patient at the oncological and functional (continence and erection) levels. 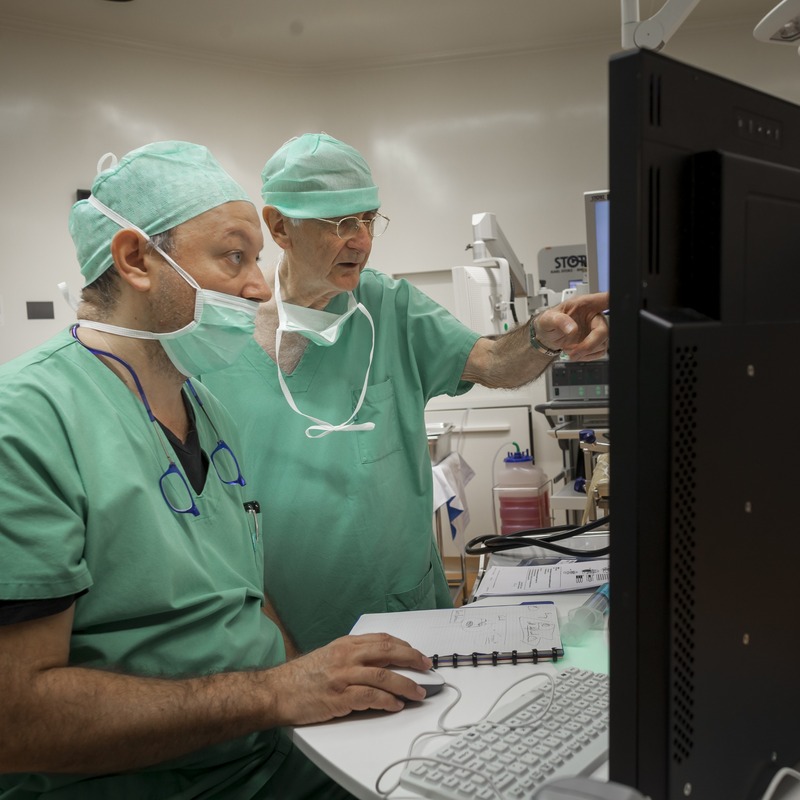 At the end of 2015, more than 850 robotic prostatectomies were performed at the Clinique Générale-Beaulieu. All suspected cases of prostate neoplasia or known prostate cancers are discussed during our weekly uroradiology board and also at the urological tumor board.